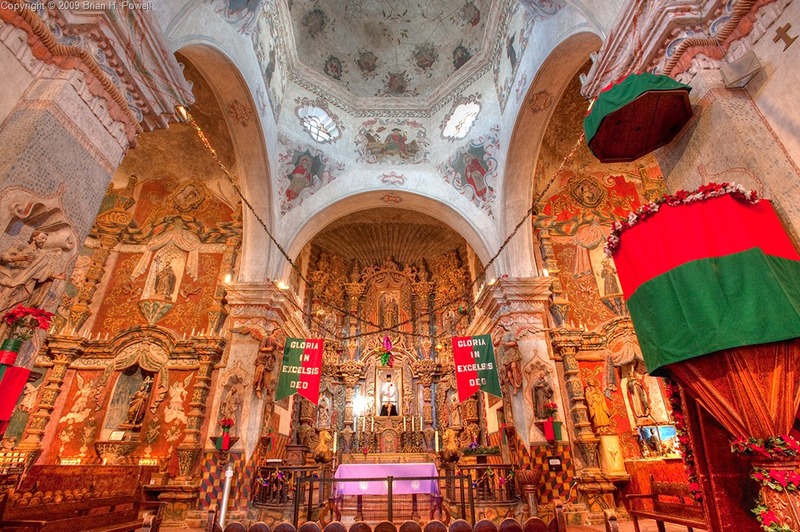 While in Tucson last week, I visited Mission San Xavier del Bac, south of the city. The beautiful church was decorated for Christmas. 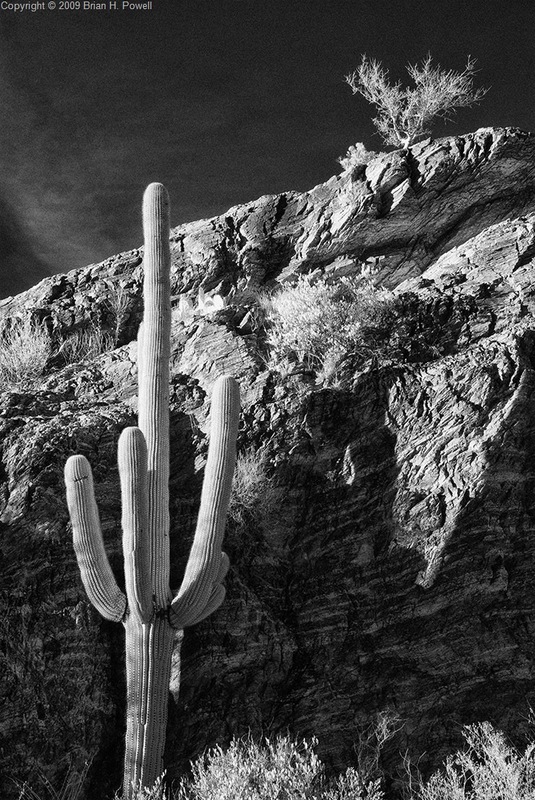 While traveling last week, I consulted Volume 2 (Arizona) of Laurent Martrès’ book series, Photographing the Southwest. 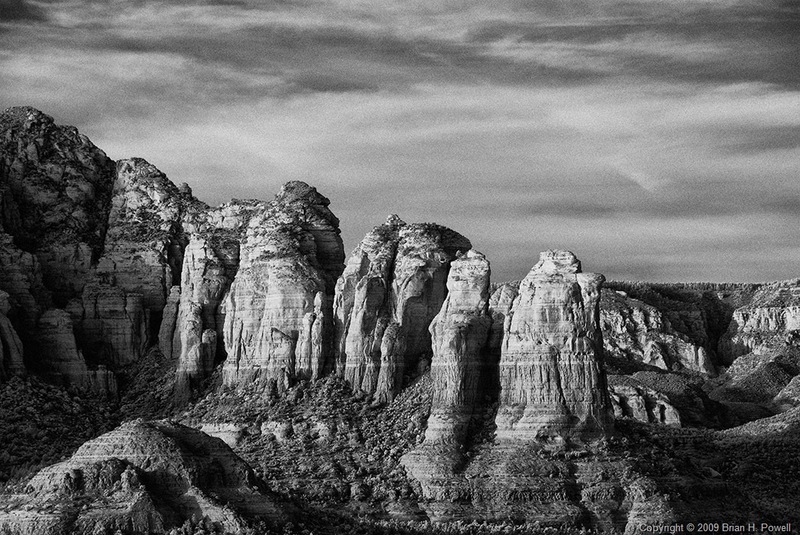 As their name implies, the books describe a variety of locations for photography in the southwest, including directions and good times of day to photograph. I’ve learned of places I probably never would have found on my own. When I arrived at the arch, it was still in morning shadow, but the rest of the valley was in full sun. There was too much contrast to render the scene with a single image in my camera. So, I tried my hand at some high-dynamic range (HDR) photography. I’ve tried HDR in the past, without much success. But I recently met Trey Ratcliff, an HDR expert and author of the blog http://www.stuckincustoms.com/. I decided to try again. 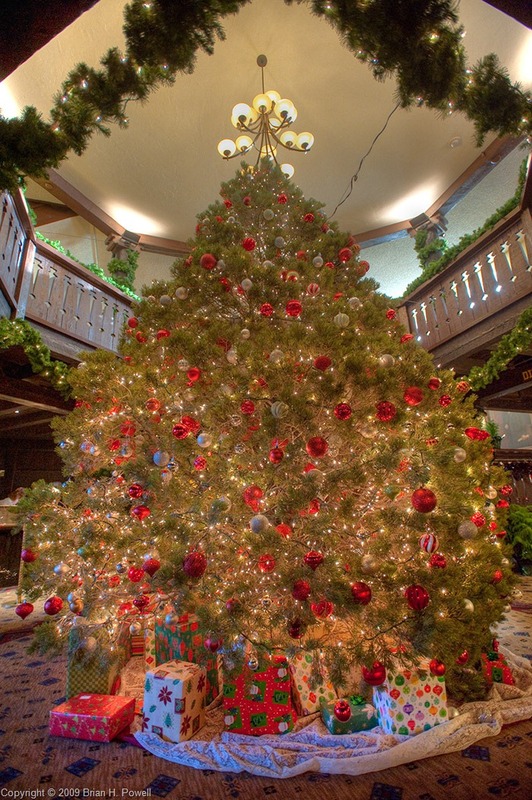 I plan to post a couple more HDR photos in the next few days. I spent the weekend with my good friends Crystal and Paul. On Saturday, we went to Sunset Crater and Wupatki National Monuments. 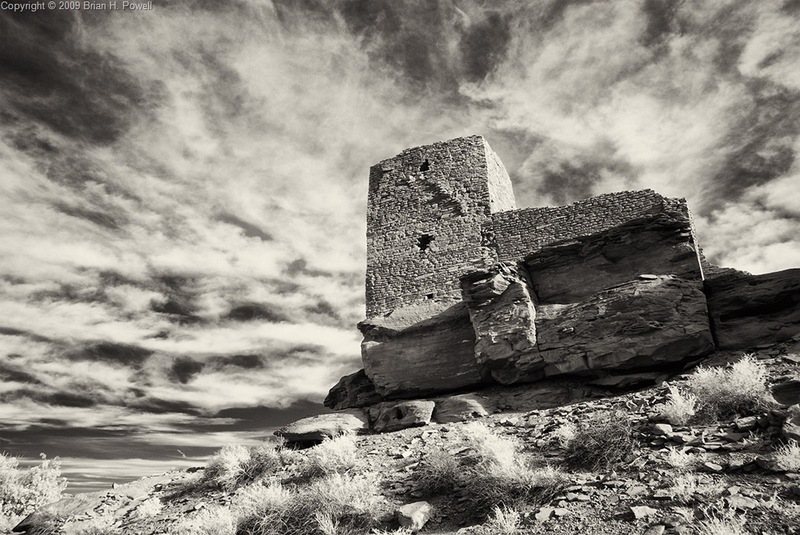 The image above is an infrared shot of the Wukoki Pueblo (approximately 800 years old) at the Wupatki National Monument. 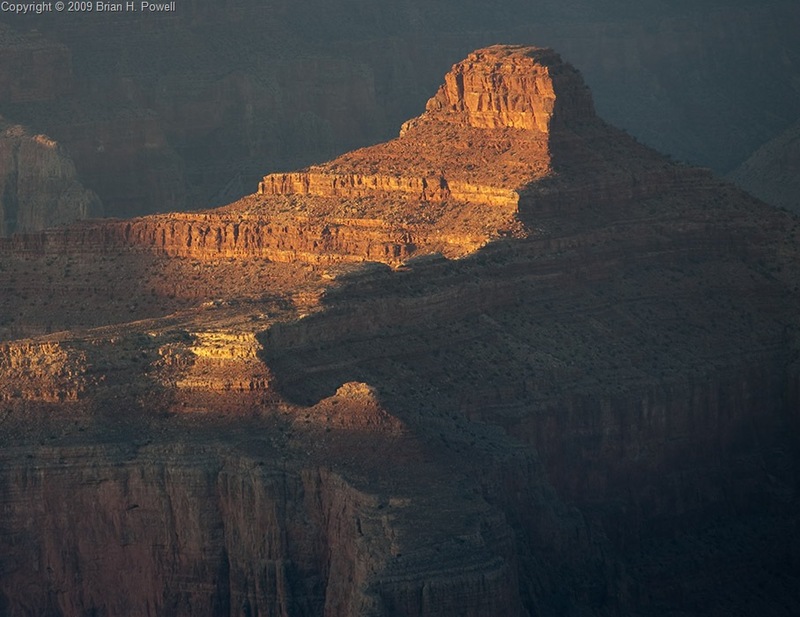 For sunset, I drove to Pima Point, which is along Hermit Road almost all the way to Hermit’s Rest. Here’s some of the last of the evening light falling on the Tower of Ra [see the comments]. 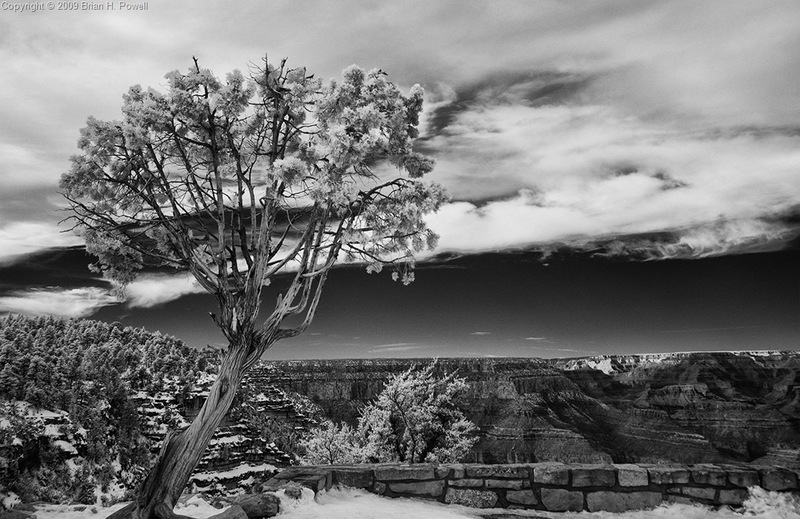 Here’s another infrared photo. I think this does a good job of showing the variety of textures and layers in the rock. 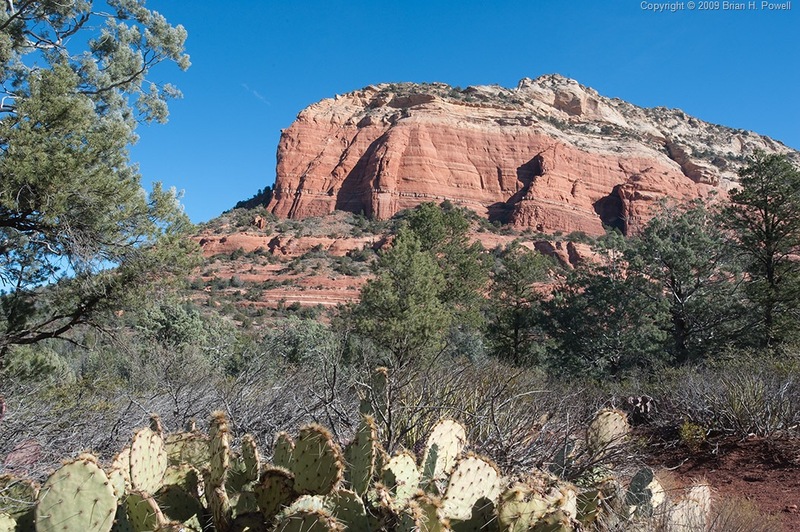 Thursday, I was in Sedona, Arizona. 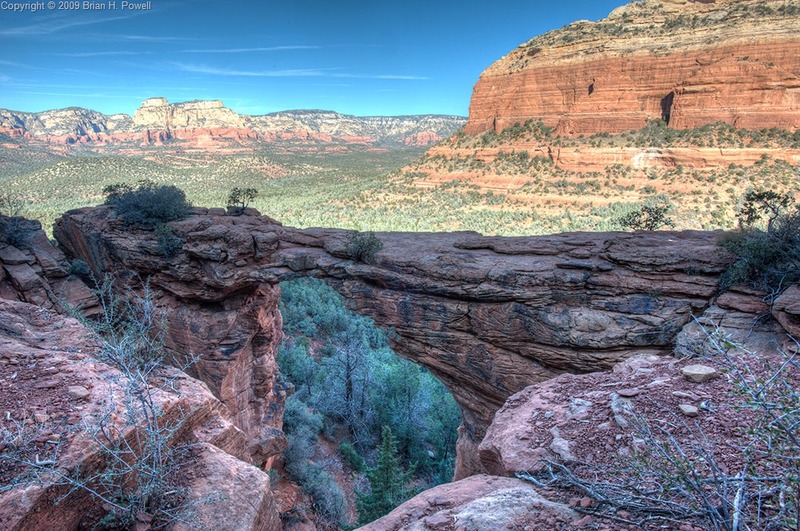 I went on a short two-mile hike (on an injured leg—bummer) to a large sandstone arch named Devil’s Bridge, in Coconino National Forest. Here’s a view along the way. I hope to post some HDR images of the arch later. I also visited the nearby town of Jerome. Once a huge copper mining community, it is now known for its artists and art galleries. Finally, I ended the day at the Sedona Airport Scenic Overlook for sunset. Thin clouds have been coming in during the late afternoons, and the sunsets haven’t been that spectacular. However, I do like the clouds in this infrared shot. Wednesday was mostly a travel day—going from Tucson to Flagstaff. 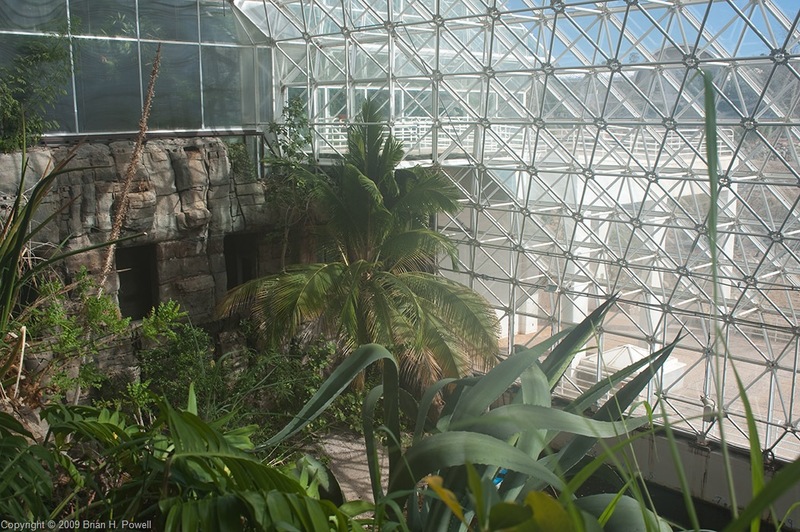 Before I left the Tucson area, though, I decided to visit Biosphere 2. This was a structure built in the late 1980’s and early 1990’s for conducting ecological experiments in a man-made closed system. In its first mission, which began in 1991, eight people were locked inside with the goal of living for two years in an almost completely self-sustaining environment. While there were a variety of challenges with this mission, it met its duration goal by lasting for two years and twenty minutes. 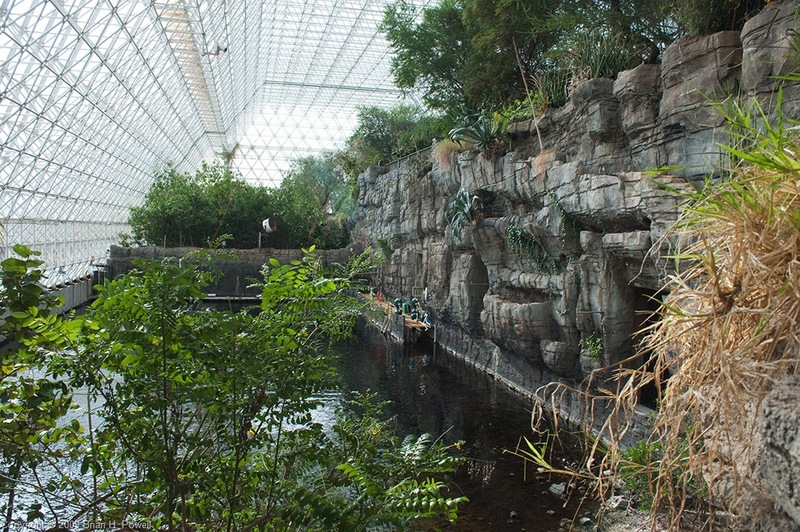 Today, Biosphere 2 is a science laboratory run by the University of Arizona. 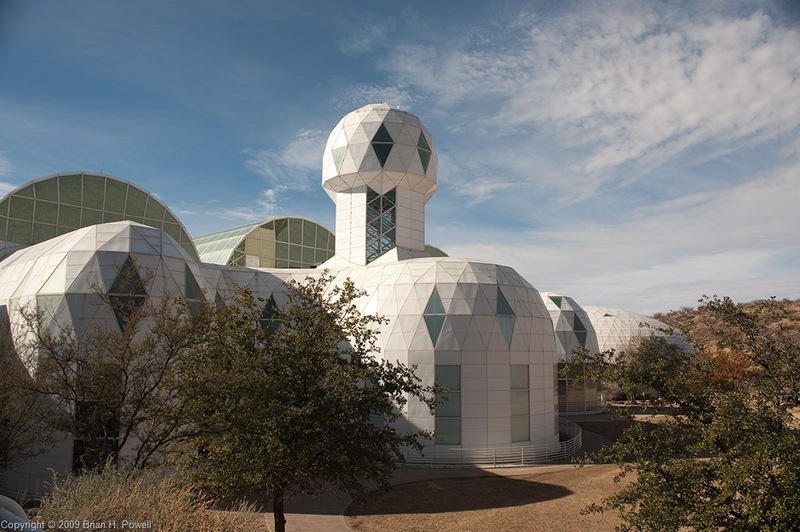 I found the tour fascinating, not only for its reflection on the original Biosphere missions, but also for its glimpse into current, ongoing research at the facility. As a musician, I’ve been trained, in the moments leading up to a performance, to relax—to calm myself, and peacefully contemplate what I’m about to do. It puts me into the right mindset, by clearing everything else out of my head. And then when I’m ready, I can execute the way all the rehearsals taught me to perform. And so it needs to be with photography. I know my cameras; I can handle most of the photographic situations I’ll be in. But if my mind is still back home, thinking about work or other chores, I won’t be ready to make the photographs I know I can make. 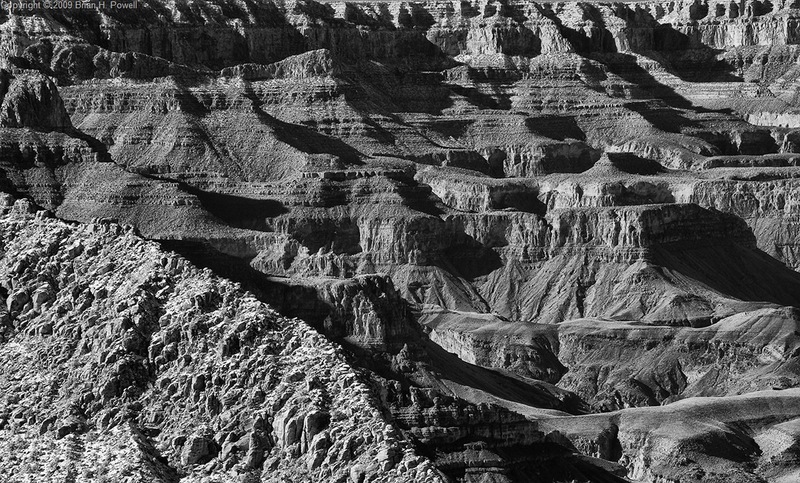 Even in nature photography, there’s a lot to think about—what’s going to happen next? When’s the sun going to set? Which way is the wind blowing? What time does this park lock its gate? What’s the hyperfocal distance for this shot? 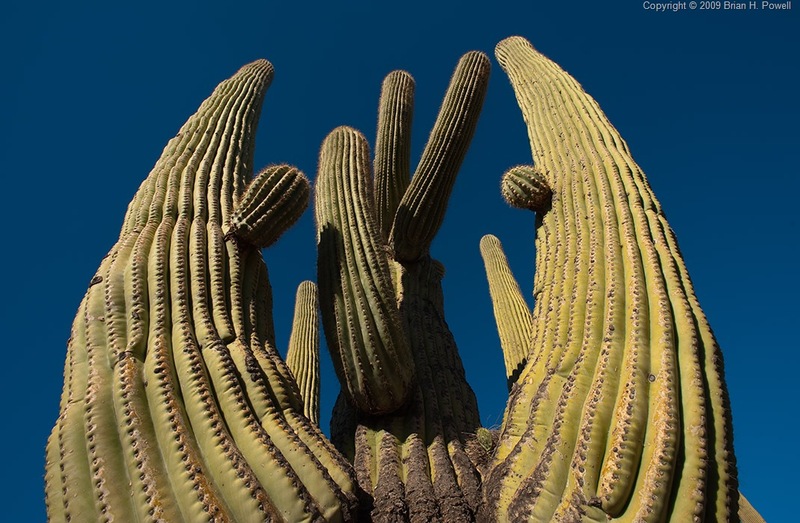 I was standing next to a 30-foot-tall Saguaro, and listening. A whole lot of nature photography is being patient. It’s waiting for the right light. It’s waiting for a shadow to move. Or a cloud. And sometimes, the right light doesn’t happen. Sometimes, the cloud doesn’t show up in the right spot. That’s part of nature photography. But if my mind is open, I will still enjoy what I’m doing. I can listen for the wind. I can watch and listen for the animals around me. Okay, I’m ready again. Ready to take another photograph. My mind is clear again. I’m in Arizona this week. In the days leading up to this trip, I was stressing about projects left undone at work and at home. I wasn’t sure how easily I would shift my focus to photography. 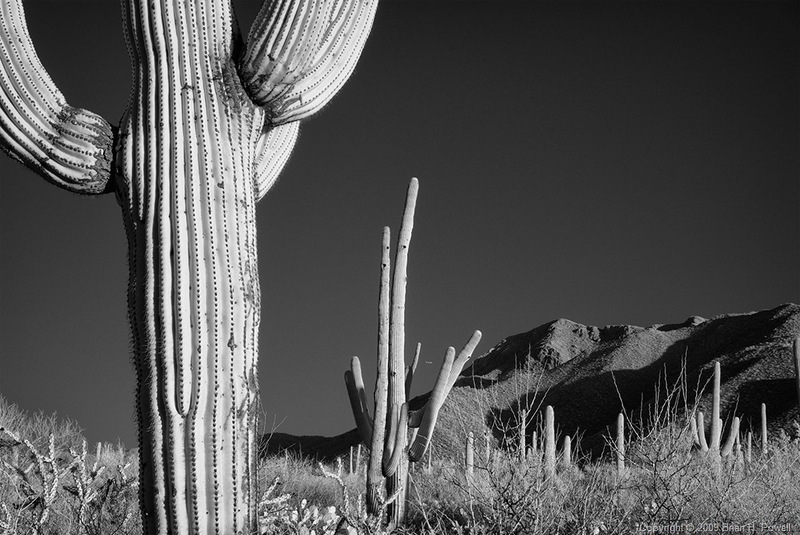 I visited the Tucson Mountain District of Saguaro National Park this afternoon. I just did a quick drive-through around sunset, to get a better idea of what I want to try tomorrow. 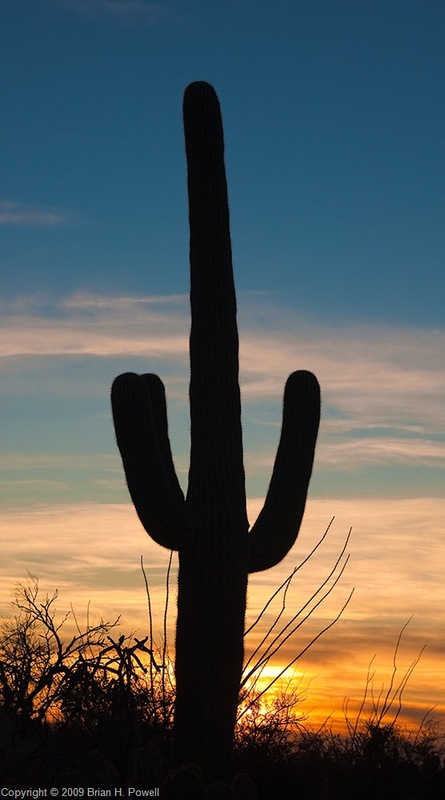 Once I got out into the desert, watching the sunset, I knew I was mentally prepared for the photography. The challenges back home are well taken care of (for which I am grateful! ), allowing me to settle into the nature around me. Here’s one of my infrared shots from today. Look for more over the next week.